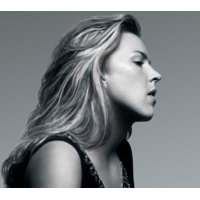 Diana Jean Krall, OC, OBC (born November 16, 1964) is a Canadian jazz pianist and singer, known for her contralto vocals. She has sold more than 6 million albums in the US and over 15 million worldwide; altogether, she has sold more albums than any other female jazz artist during the 1990s and 2000s. On December 11, 2009, Billboard magazine named her the second Jazz artist of the 2000–2009 decade, establishing herself as one of the best-selling artists of her time. She is the only jazz singer to have eight albums debuting at the top of the Billboard Jazz Albums. To date, she has won three Grammy Awards and eight Juno Awards.